They have free wi-fi Internet. Its not the fastest in the world, but hey its free. 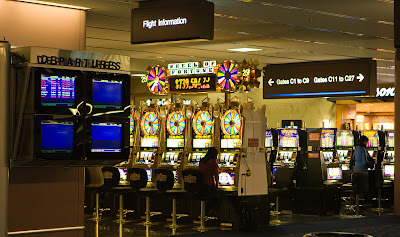 Where else can you compose a shot to include slot machines and flight information screens? Technical Specs: Canon 1D3, 24-70@70mm, f/2.8, 1/80s, ISO 1600.